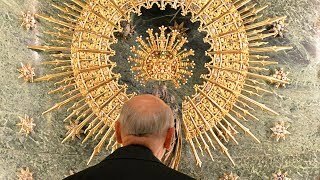 A new documentary, in Spanish with English subtitles, about social initiatives inspired by Blessed Alvaro in Latin America. As the head of Opus Dei, Blessed Alvaro del Portillo saw at first hand the great suffering and hardship that so many people are born into. His desire to offer practical and effective help to those lacking the most basic means of helping themselves led him to encourage the founding of charitable works throughout the world; offering education, medical aid, and above all hope to those on the very edges of society. This video tells the story of people whose lives have been transformed by social initiatives begun in Latin America at the urging of Blessed Alvaro, as well as the stories of those who, inspired by his example, have begun new social projects of their own. Directed by Juan Martin Ezratty, Trabaja para los Demás (Working for the Others) draws on the teachings of St. John Paul II and Pope Francis, as well as St. Josemaría Escriva and Blessed Alvaro del Portillo, to present a Christian understanding of how we can find great joy by stepping outside our private concerns to work for the benefit of all.